Counting for Thunder follows in the tradition of other films developed from one-man shows like Sling Blade and My Big Fat Greek Wedding. 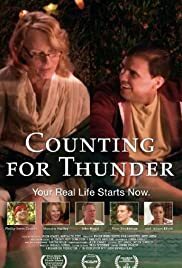 Counting for Thunder is inspired by the three years when Phillip Irwin Cooper, unlucky in work, money and love, went home to the Gulf Coast of Alabama to help out with a family crisis. Working through his past with his complicated family, some old high school chums, and the desperate and hilarious southern characters who grace his hometown, Phillip ultimately finds his own voice as his mother is regaining hers for possibly the last time. Your Real Life Starts Now.